Relaxing massages in Madrid with exclusive Premium combinations. The relaxing massages of Kamiraku are special Premium massages: a unique combination of oriental massages that will make you live a moment of complete wellness, taking care of yourself and pausing for own leisure and relaxation. They are the Kamiraku experience reaching the height of its expression! But, what makes them special? Kamira, Raku Kiraku y Gokuraku have an extended running time, combine 2 or 3 different oriental massages matching between them and are a therapy suitable for couples. The relaxing premium massages Kamira, Raku y Kiraku last 90 minutes, and they are a unique combination of oriental massages. Our exclusive Gokuraku massage (that means “Paradise” in Japanesse) lasts 165 minutes of therapy for your well-being and health. It is an exclusive combination of Thai massage or Shiatsu massage + Thai Oil or Pinda massage + Japanesse massage + Foot Reflexology. Whom are Premium relaxing massages for? Exclusivity is what best defines our Premium relaxing massages. Combining complementary relaxing massages, the sensory experience increases, you get more value for your time (now you have finally found room in your busy agenda) and the benefits of the oriental therapies have a multiplying effect. Kamiraku’s combined relaxing massages are desgined for people who need a lot of energy to develop their daily lives, but have to disconnect from time to time, recharge batteries and go ahead. These massages are also indicated for those people that need a moment for their own care just to take a break for relax and meditation and also be cared for by an expert therapist. What to expect from Kamiraku’s premium relaxing massages? Kamiraku is a unique and discrete massage centre in the most exclusive area in Madrid, Barrio de Salamanca, where our therapists, specially trained in oriental massage skills, take care of your health and well-being. 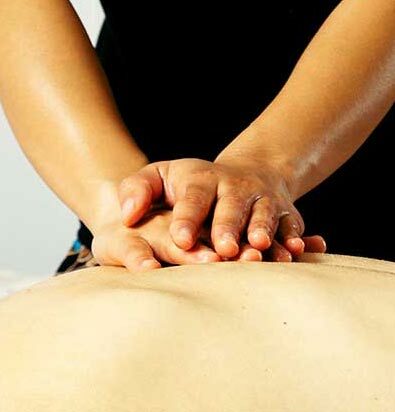 Our massage rooms are wide and pleasant with no exterior noise disturbing you. The austerity of the facilities, with a calmed Zen luxury, will catch your eye. Nothing disturbs your tranquillity; nothing endangers those long minutes of harmony, balance and serenity provided by our premium relaxing massages. At the same time, you will find extremely comfortable because our unique massage tables are wider than the usual ones of their kind: they are taylor-made for us, following the precise indications based in our long experience in oriental massage therapies. No limits, no sense of imbalance… You have never experienced this calm before. How shall I choose the best combination of relaxing massages for me? You can choose one of our four Premium combination of relaxing massages, depending on your own preferences and expectarions. Woul you rather be assessed by an expert? Feel free to ask us for advice through the contact form!